Dr. Jessri’s research program is uniquely at the intersection of nutritional sciences and population and public health. The overarching goal of her research program is to provide the evidence-base and decision tools to inform nutritional guidelines and polices for reducing the burden of chronic diseases. Dr. Jessri’s research lab offers a stimulating place for research on nutritional epidemiology for population health. If you are interested in joining the team, please contact us via email to express your research interests. For a comprehensive list of publications, click here. Jessri M, Lou W, L’Abbe MR. Evaluation of different methods to handle misreporting in obesity research: evidence from the Canadian national nutrition survey. Br J Nutr. 2016 Jan 14;115(1):147-59. doi: 10.1017/S0007114515004237. Epub 2015 Nov 2. Jessri M, L’Abbe MR. The time for an updated Canadian Food Guide has arrived. Appl Physiol Nutr Metab. Appl Physiol Nutr Metab. 2015 Aug;40(8):854-7. doi: 10.1139/apnm-2015-0046. Epub 2015 Jul 9. Review. 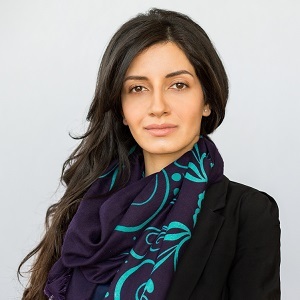 Dr. Mahsa Jessri is an Assistant Professor in Food, Nutrition and Health Program, the University of British Columbia, where she leads the “Nutritional Epidemiology for Population Health” research group. Previously, Dr. Jessri was a CIHR Banting Fellow with the Clinical Epidemiology Program, Ottawa Hospital Research Institute; School of Epidemiology and Public Health, University of Ottawa; and Health Analysis Division, Statistics Canada. She is the recipient of the Royal Society of Canada Award and Medal (2018) for her research leadership. Dr. Jessri has expertise in nutritional and chronic disease epidemiology, dietary pattern modelling and health, dietary assessment, public and population health, machine learning, and preventive nutrition and dietetics.